I would love to say that I planned the shot as you see it. 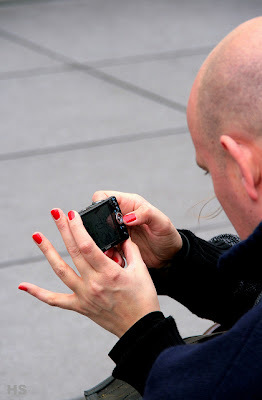 Fact: I just took a quick candid of a couple watching their shots in camera outside the Pompidou. Only at home behind the computer did I see what I captured: his head and her hands.